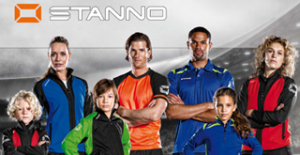 Choose the best quality Training Kit for your club from the brands we offer. Follow the links below and you will find a huge range of T-Shirts, Poloshirts, Rain Jackets, Tracksuits, Midlayers, Shorts, Training Pants and many more items. All garments can be customised with embroidery or print logos.